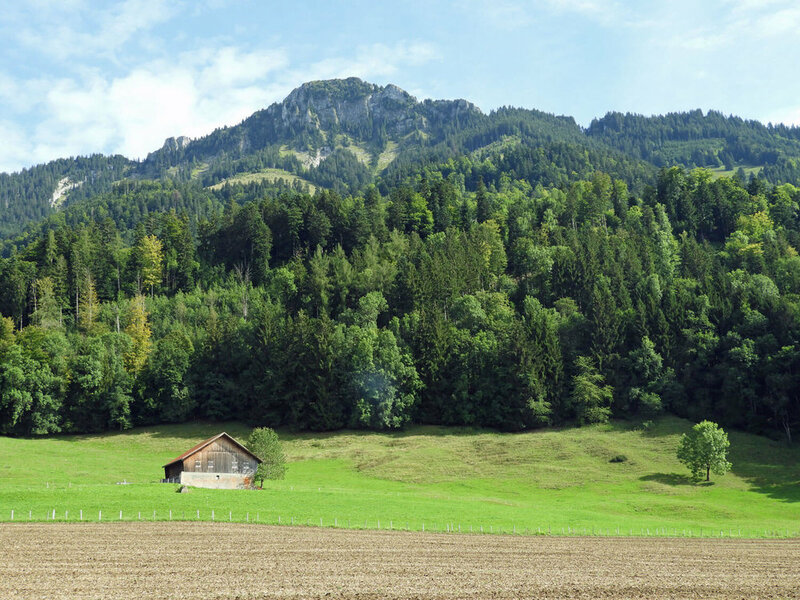 We’ve always admired the striking peaks, Dent de Broc and Dent du Chamois, towering over the towns of Broc and Gruyères. One stunning September day we took advantage of the rain-free forecast by hiking to the summit of Dent de Broc (6001 feet / 1829 meters), and boy it was a beaut. After the hike we stopped at the Gruyere cheese factory (of course), to get some cheese and a magnum ice cream bar to split. The good life. It's hard to capture the knife-edge summit in photos, but check out this awesome drone footage we found on youtube! Surprisingly, it’s difficult to find information about this hike online, and we’re not even sure how long (distance-wise) it was. Here is the closest route we could find to ours, but we did not start at the Chateau. Instead, we parked our car at the lot across from the Notre-Dame des Marches / Our Lady of the Marches church (Route des Marches 18, 1636 Broc, Switzerland). From there, we met up with trail outlined on the link above. On the way down, we took a different route (following a sign for the town of Broc just below the summit) that popped us on on Route du Pessot where we then cut back over to our car. Parts of this hike are leisurely, but there is a bit of rock-climbing close to reach the summit. Additionally, the summit has much more of a knife-edge than you’d think, so there is quite a bit of exposure. Overall, we’d say this is a difficult, do-able, and downright awesome hike. 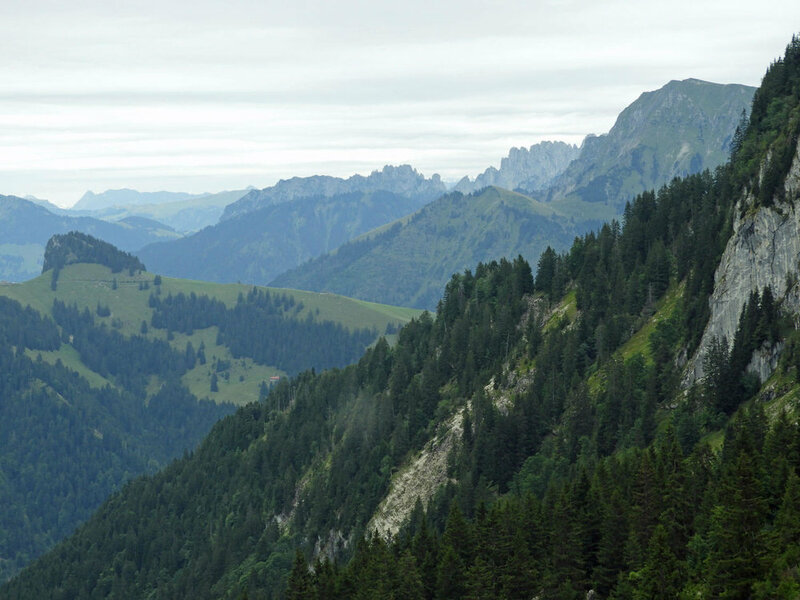 The twin peaks Dent de Broc (left) & Dent du Chamois (right) rise above Gruyères. 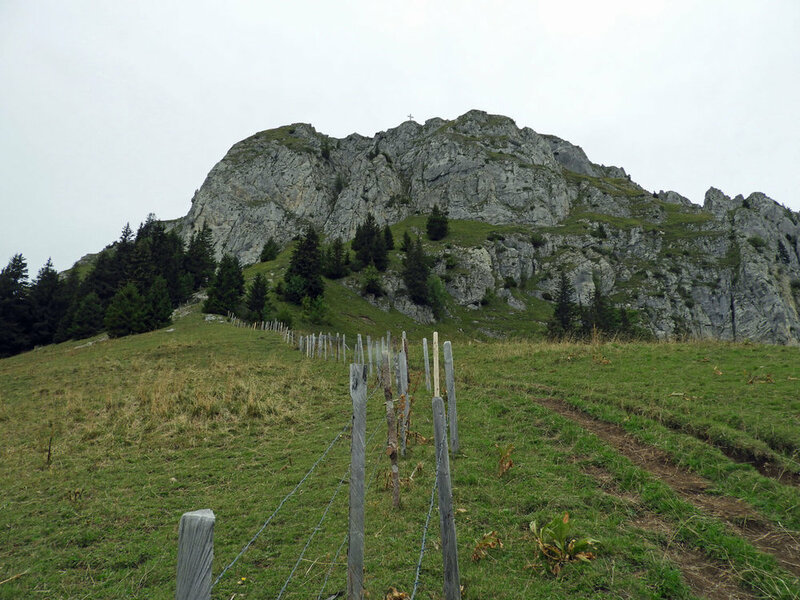 The quaint hilltop town of Gruyères is one of our favorite places to visit. The world famous Gruyère Cheese Factory the base of the old town is not to be missed.